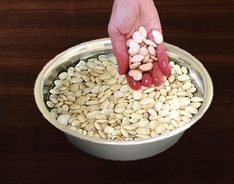 ﻿﻿L﻿ima beans ﻿are white or cream-colored beans and they are also known as butter beans. 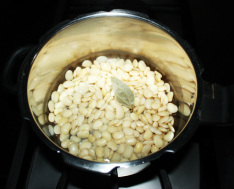 These beans are native to Central America. 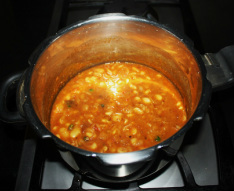 When cooked, these beans have a soft texture that blends very well with spices. 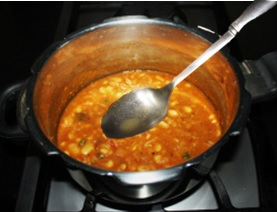 Like Rajma (kidney beans) lima beans are first boiled then simmered into spicy gravy made with onion, garlic, tomatoes and traditional Indian spices. 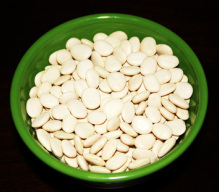 Lima beans are a very good source of dietary fiber and a fat free source of protein. They are available in small and large sizes. 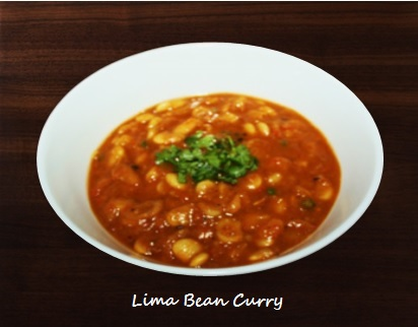 Lima beans are not very popular in North Indian cooking, but they make healthy dietary additions to lunch or dinner menu. 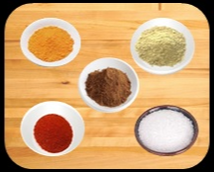 You can make a delicious dish by cooking them with spices and herbs. 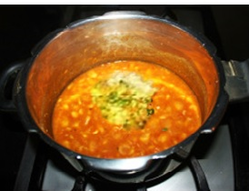 Lima bean curry goes well with rice, roti or paratha. take long time to cook). 2. 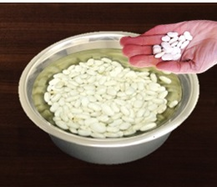 After soaking Beans double in size. 5. 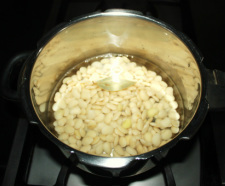 While beans are boiling puree the onion and garlic in chopper or blender. 6. In the same blender add Tomatoes and puree. 11. 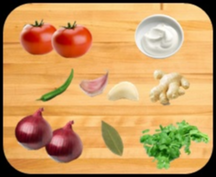 In about 5 to 6 minutes tomato puree and onion will blend together. masala is done. Turn the stove off. water and mix. 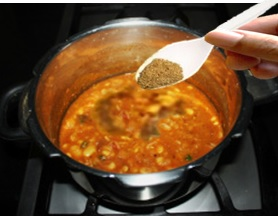 keep the heat to medium, stirring periodically. 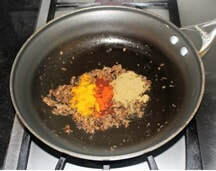 chilies, grated Ginger and Garam masala and cook for 5 to 6 minutes. ​ turn the stove off. 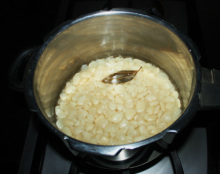 close the lid of pressure cooker and cook again. 4. 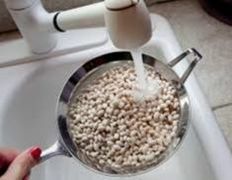 If you did not plan it and you do not have enough time to soak the beans, try power soaking method.